There’s something to be said for creating a record that is totally innocuous in any way. This is the type of record that could be played at a small party or gathering of friends with no objections in favor of something else. 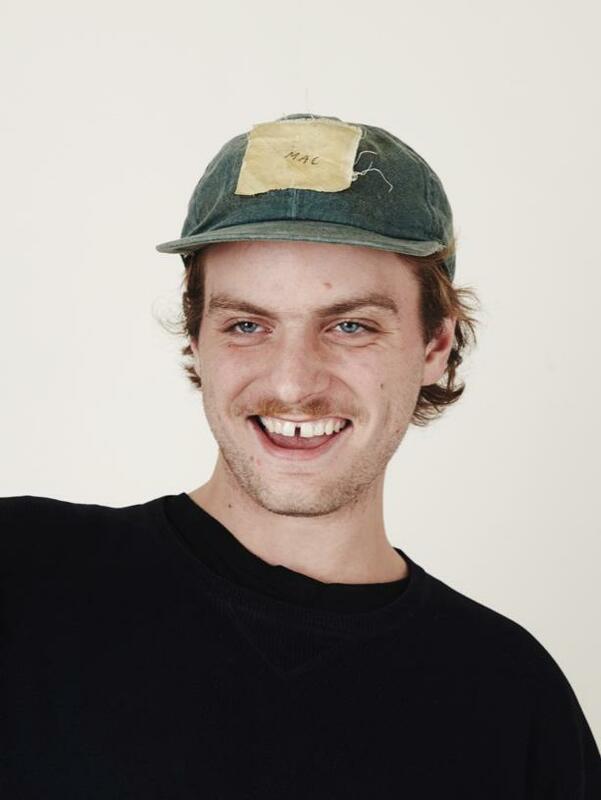 That’s the kind of album that Mac DeMarco has created on his most recent offering, Salad Days. And interestingly, Mac’s music seems to echo his persona. He’s the type of guy that you wouldn’t take a second look at if you saw him walking down the street during the Plaza festival or if he was helping you check out at a music store. However, the second he opened his mouth to give you a goofy gap-toothed grin, you would know that there is something more to this dude. Salad Days does a nice job of varying its sound throughout the album while still managing to blend well as one cohesive work. The first half of the album is its most straightforward portion, bouncing along with warbly guitar licks laid over simple bass lines (think a slightly more aloof version of Kurt Vile or Ariel Pink), with most songs moving along at about the same lazy pace. DeMarco’s style occasionally ventures into psychedelic territory on songs like “Brother,” but it’s always contained within tight song structures, avoiding the urge to slip into jam band mode. He does a great job of keeping things fresh throughout, adding little variations of sounds and new elements, like chilly synths and understated xylophone or giddy organs over the course of the album. The second half of the album sees DeMarco spreading his wings a bit more stylistically, and the results are solid. Perhaps his most rewarding departure is “Chamber of Reflection,” a funky, chillwave effort that wouldn’t sound out of place on an album by Toro y Moi or Neon Indian. The last track on Salad Days, “Johnny’s Odyssey,” is an instrumental built around a lilting bass line and alien organ, conjuring images of a listless slacker being beamed up into the alien mothership for a short stroll through the galaxy. And that’s kind of what listening to Salad Days is like. If you’ll let it, it can help you drift off into the space of your mind. How far you want to go is up to you, and that’s cool with Mac.